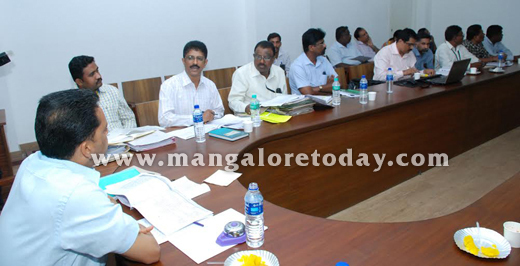 Mangaluru, April 16, 2015: The measures taken by the administration to rescue child labourers were discussed at a meeting held at the DC office here on April 16, Thursday under the aegis of the District Child Labour Project Society. Deputy Commissioner A.B. Ibrahim presided over the meeting. Addressing the meeting, the Deputy Commissioner instructed he officials to be vigorous in their drive to detect child labourers working in various places and in rescuing them. Nagesh Kumar, Assistant Commissioner of the Department of Labour, Ashok Kumar, Basavaraj and other Labour Department officials attended the meeting.